If you purchased a new Mac Is The New Retina MacBook Pro For You? [Opinion] Is The New Retina MacBook Pro For You? [Opinion] When Apple announced the MacBook Pro with Retina display a few weeks ago, I was pretty sure it would end up being my next laptop. I’ve waited a long time to upgrade and after being... Read More recently then you might be pleasantly surprised to hear that you’re entitled to a free upgrade of Apple’s latest version of OS X, 10.8 Mountain Lion. Customers who purchased directly from Apple or from an authorised reseller on or after June 11, 2012 are eligible – and who doesn’t love a free upgrade? The process isn’t particularly complicated, though as of writing this, Apple have not notified all eligible customers so today we’ll take a look at how you can claim the upgrade for free. The upgrade isn’t Mac-specific so even if you didn’t purchase an updated Air or Retina MacBook Pro So What's The Deal With The New MacBook Pro? So What's The Deal With The New MacBook Pro? Read More you can still claim for your iMac or Mac Mini. Mountain Lion is the next iteration of OS X, following on from version 10.7. There are a number of new features (over 200, according to Apple) and while many of them will be hidden from sight, there are a few noticeable reasons to upgrade. If you’re an iPhone or iPad owner then it will be hard not to draw comparisons between iOS and 10.8, and you’ll undoubtedly benefit the most from the update. Notes, Reminders and a new app called Messages are only a few of the new arrivals, with the latter including multi-protocol instant messaging support (Google Talk, AIM and more join the party) as well as the integration of Apple’s own messaging service, iMessage. Similarly, a new security feature called Gatekeeper will by default only allow software from the Mac App Store to be installed, though this can be easily modified or completely turned off via the Security & Privacy settings under System Preferences. AirPlay mirroring is another juicy feature that will allow you to send whatever is on your Mac’s screen to an AirPlay receiver like the Apple TV Entertainment On The Cheap: The Most Affordable Ways To Set Up A Home Theater Entertainment On The Cheap: The Most Affordable Ways To Set Up A Home Theater While plenty of pricey pre-built solutions exist, there are a few ways to bring a streaming box of entertainment to your living room on the cheap. With the right some open source media software, a... Read More . Finally the upgrade is free, and while it only costs $20 anyway – the cheapest an Apple OS upgrade has ever been – you’ve probably spent enough on your new PC as it is. Just don’t forget to backup any data you can’t live without before updating. Despite the fact that the upgrade should be quick and painless, it’s still possible something might go wrong somewhere. 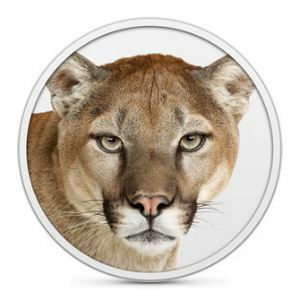 First visit the Mountain Lion Up To Date Program and input your purchase date, place of purchase, country and locale information as well as the name of the reseller (if applicable) you purchased from. Seeing as you’re probably a home user you can ignore the Right To Copy field entirely. Click Continue to advance the form to the next stage. Next you will be asked to fill out your name, address and provide an email ID for verification purposes. This is the email that Apple will use to send you your code, and in order to keep it simple I personally used the same email I use for my Apple ID. This probably doesn’t make a huge difference, though I did receive my code in less than 24 hours. Fill out all the information on this screen and then click Continue again. In order to claim your upgrade you will need to submit your Mac’s serial number to Apple for verification. This number is unique to your machine and you should keep it private, except under circumstances such as these (or support requests). 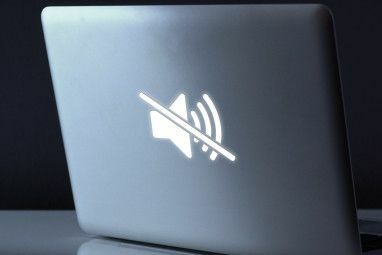 You can find this information by clicking the Apple logo in the top left corner of the screen, then clicking About This Mac. Click More Info to display a list of information, including your machine’s serial number which you can select and copy (Cmd+C). You can then paste this into the box on the next screen, with the option of adding more serial numbers for multiple machines if necessary. Again, click Continue to advance the form. Finally you may be asked to include your proof of purchase as a scanned document in this final stage. If you don’t have a scanner I’d recommend something like TurboScan for iPhone TurboScan - Or Why Your Next Scanner Will Cost $1.99 [iPhone] TurboScan - Or Why Your Next Scanner Will Cost $1.99 [iPhone] I had a scanner once. It took up an enormous amount of my childhood desk space circa 1998, connected via parallel port and the quality-to-speed ratio was poor to say the least. It was the... Read More or an equivalent scanner app for your Android Scan Documents on Your Phone with CamScanner for Android Scan Documents on Your Phone with CamScanner for Android You can use this handy app to scan any document straight from your phone. Read More or Windows Phone device. Upload, click Continue and sit back and wait. You should receive your code by email, and as I’ve mentioned, mine arrived in less than a day. 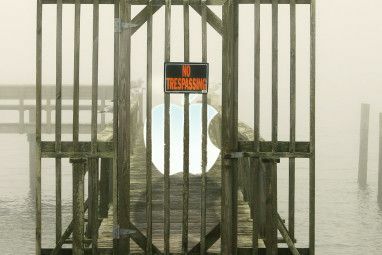 Apple will actually send two emails – one titled “OS X Mountain Lion Up-to-Date Content Code Email” with an attached password-protected PDF document, and another titled “OS X Mountain Lion Up-to-Date Password Email” with the password required to open the PDF containing the activation code. Once you have got your code, open the Mac App Store and on the right-hand side under the Quick Links heading should be an option called Redeem which you must click. Paste your code into the provided box and click Redeem – your download should now begin and Apple’s OS X update wizard should guide you through the rest of the process. Remember to make sure you have a recent backup before restarting to complete the installation! Have you tried Mountain Lion? Did you get a free upgrade? Did it all go smoothly? Let us know in the comments, below. I wanted to make a little comment on this. I am really interested in getting an Apple computer mainly because of the frequency of new OS releases. You will probably transition over to OS X quite nicely as a Linux user, though you will encounter some things you might not like. It depends, Apple's own ecosystem runs quite deep (using iPhoto for photos, iTunes for music) and that can be annoying if you prefer to manage things yourself. That said, OS X is built on UNIX and thus shares a lot in common with Linux - BASH, file structures and the lack of a registry are a few of them. You will also probably enjoy the amount of software you can run in comparison to Linux, on which many software packages never see a release. The hardware is, in my experience, pretty good and thus a MacBook or equivalent should still be good if ever you decided OS X isn't for you and decided to put Linux on it (or even dual boot). I started out a Windows boy, having used every version since 95 (including ME and Vista, yes), then migrated to Linux for a short while, hesitantly back to Windows 7 and have ended up on OS X. I found my experience with Linux beneficial to eventually switching to OS X, it takes a few days to get your head around a few things and then you're set! I purchased my MacBook Pro on July 12, but just now got around to the free Mountain Lion upgrade. It was a snap! Since I purchased from Apple online I didn't have to provide a proof of purchase either. And my code was in my email inbox within just a minute or two. I bought mine from an Apple reseller on the 13th and also didn't require proof of purchase, though when I re-did the process for this article (exploring all avenues) I saw the proof of purchase option come up - so I guess it's a last resort. I agree though, it was quick and painless! My sister bought her MAC on June 1st adn were able to Clain her upgrade. If you are older than June 11th, give it a try. That's great, thanks for letting us know! thats great that apples doing that.